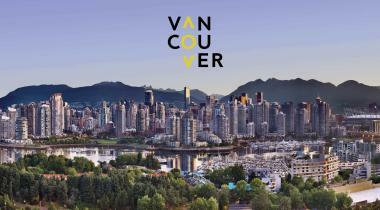 Look at a map of our downtown core, and you’ll very quickly realize that the Vancouver Convention Centre (VCC) is right in the middle of the action! So even if you haven’t been lucky enough to add on a day or two post-meeting to get to know our city, all you need is a two-hour break in your convention schedule to squeeze in some sightseeing. Really – just two hours? Yes, really! 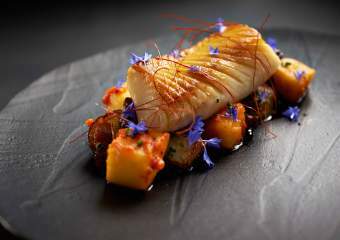 Here are our five top picks for two hours of Vancouver sightseeing, all easily accessible from the VCC. 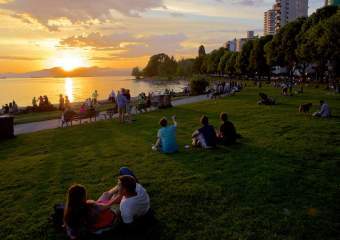 Vancouverites are particularly proud of their seawall, a total of 22 km (13.5 miles) of waterfront pathway that wraps around the downtown peninsula, False Creek and all the way out to the University of British Columbia. 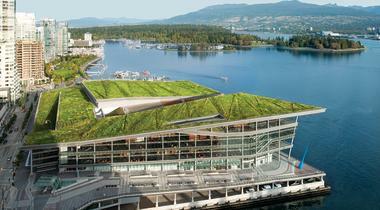 Lucky for you, the path passes right by the Vancouver Convention Centre! 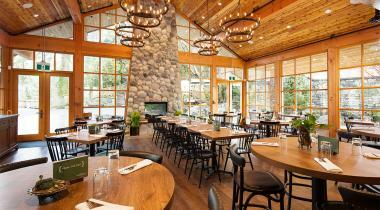 Grab a coffee and start strolling west into Stanley Park. 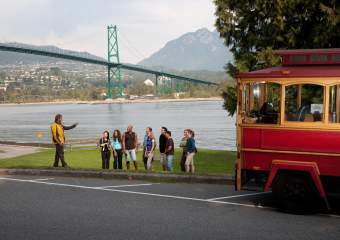 With two hours, you’ll be able to make it to the park’s famous totem poles and back again, along the way taking in gorgeous views of the North Shore mountains and Burrard Inlet, as well as some of Vancouver’s best public art. 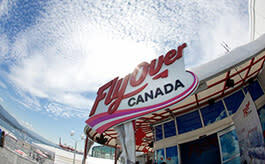 If you need to check off “Canadian sightseeing” and not just “Vancouver sightseeing,” FlyOver Canada is the place to go. Located right at the end of Canada Place’s iconic white sails, FlyOver Canada is a 4D “virtual flight” over breathtaking scenery of our country. You’ll be strapped into a seat with your feet dangling as you take off, feeling the motion as you soar over Canada with the wind in your hair and the mist on your skin. FlyOver Canada takes about a half-hour, so spend the rest of your break enjoying the picture-perfect views from Canada Place. 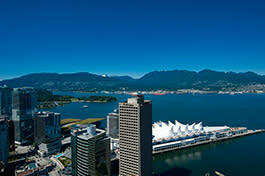 Rise above it all at Vancouver Lookout, a great place to get your bearings if you’re new to the city. 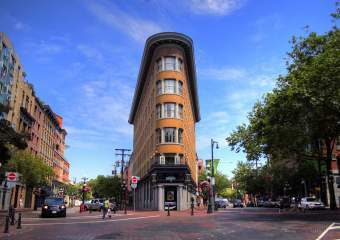 Just a 10-minute walk from the Vancouver Convention Centre, on the edge of the historic Gastown neighbourhood, you’ll take the elevator up 167 metres (550 feet), with an amazing 360˚ view coming into focus. Either join one of the guided tours as staff point out Vancouver’s highlights, or just wander around on your own, reading the explanatory signs as you go. The cherry on top is that your ticket is valid all day, so you can come back after dinner and catch the city lights from up high. 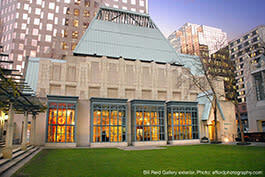 A two-hour break is not long enough for a visit to Vancouver’s acclaimed Museum of Anthropology out at UBC, but for those interested in the region’s aboriginal artwork, there’s plenty of time to take in the Bill Reid Gallery of Northwest Coast Art. Just a 10-minute walk from the VCC, this museum is home to an amazing collection of works by the Haida Nation’s best known artist (his work can be found on the Canadian $20 bill). Along with the iconic pieces by Bill Reid, the gallery also showcases works by both emerging and other established First Nations artists as well. 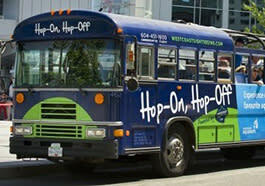 If you’re truly ambitious and want to take in as much of Vancouver as possible during your break, a hop on, hop off bus tour like the one offered by WESTCOAST Sightseeing is your ticket to ride! To do the full tour loop, you’ll need two hours, so buy your ticket ahead of time and jump aboard at the stop right at Canada Place by the Vancouver Convention Centre. 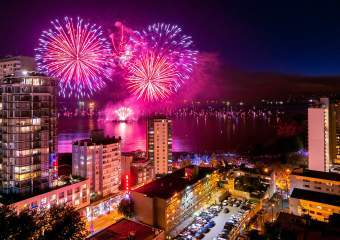 During your break, you’ll take in Stanley Park, downtown Vancouver, English Bay, Yaletown, Chinatown and Gastown, enjoying commentary as you go. 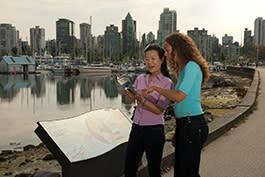 Bonus: Explore Vancouver in 360˚ Virtual Reality with WESTCOAST Sightseeing here.